General Crandall graduated from the United States Military Academy at West Point, New York in 1978 and was commissioned as a Second Lieutenant in the Military Police Corps. His first duty assignment was Platoon Leader, 463rd MP Company, at Ft. Leonard Wood, Missouri. While at Ft. Leonard Wood he served as Executive Officer of the 208th MP Company and commanded Charlie Company, 4th BN, 4th Brigade Engineer, OSUT. He transferred to the Corps of Engineers in 1981 and to the USAR in 1983. General Crandall served as Assistant Brigade S-3 of 2nd Bde, 70th Division and also commanded A Company, 1/333 Infantry OSUT in Flint, Michigan. His field grade assignments include Division Engineer, Inspector General, and Battalion Executive Officer with the 70th Division, Institutional Training, as well as Facility Engineer Team Leader - Detroit, 416th Engineer Support Group (North). He then commanded the 2/330 Infantry OSUT battalion from May 1998 through April 2001. Following command, he served as Assistant Chief of Staff – Engineer, of the 416th Engineer Command. General Crandall commanded 8th Brigade, SROTC, 84th Division, from October 2001 to February 2004. Following brigade command, he served as Chief of Staff, 416th Engineer Command from October 2001 through May 2005. He joined the 90th Regional Readiness Command as Commander of the 420th Engineer Brigade in June 2005. In May 2008 he deployed to Afghanistan in command of the 420th Engineer Brigade and Combined Task Force Castle. On 5 April, 2009, he was promoted to the rank of Major General and became the Commanding General of the 416th Theater Engineer Command in Darien, Illinois. General Crandall is a graduate of the Military Police Officer Basic Course, the Engineer Officer Advanced Course, the Army Command and General Staff College, and the Army War College. His awards include the Bronze Star Medal, the Meritorious Service Medal with silver oak leaf device, the Army Commendation Medal, the Army Achievement Medal, and the Polish Armed Forces Gold Medal. General Crandall retired after a career at General Motors that included assignments in Manufacturing Engineering, Reliability Engineering, Product Engineering, and Information Systems and Services. 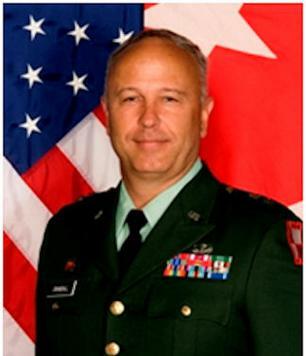 General Crandall holds a Masters Degree in Engineering Management from the University of Missouri – Rolla, a Masters Degree in Information Systems Management from Carnegie Mellon University, and a Masters degree in Strategic Studies from the United States Army War College. General Crandall and his wife Gabrielle have three children and reside in Plymouth, Michigan.